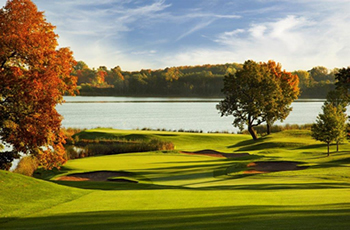 The Weekly Grounds Ticket Package offers the best value, providing access to the grounds of Hazeltine National Golf Club all six (6) days of the Championship. Each package comes in the form of six (6) individual daily tickets (Tuesday through Sunday). One premium parking pass for the 2019 KPMG Women’s PGA Championship will be included with each package purchase. By purchasing this exclusive package, you will have the future opportunity to purchase two (2) week-long Grounds tickets for the 2028 Ryder Cup. While supplies last—a limited number of tickets for this offer are available. One order per customer.